Offering you a complete choice of products which include nickel grease. 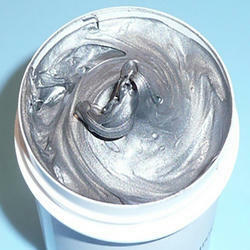 We are world renowned manufacturers and suppliers of high temperature lubricating non-melting synthetic Nickel Grease. Our advanced technology equipped laboratory and highly qualified team of experts help us to produce the best quality grease. Our grease is used in an array of application across many industries like Paper mills, plywood, plastic, foundries, steel mills, paint and heavy engineering machinery. Reduction of downtime uninterrupted services on assembly lines.